Ellation, the video platform backed by AT&T and media investor Peter Chernin’s joint venture Otter Media, has commissioned a new season of animated franchise Bee & PuppyCat. 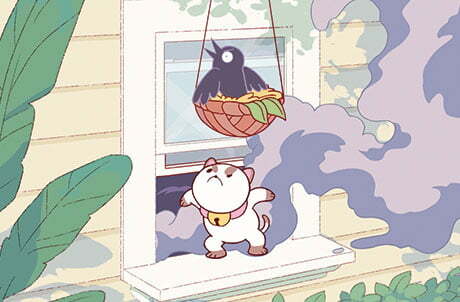 Bee & PuppyCat: Lazy in Space will be coproduced by WOW! Unlimited Media’s Frederator Studios and Tokyo-based OLM, known for its work on Pokémon, with support from the firm’s LA subsidiary Sprite Animation. The season will feature longer, half-hour episodes and be exclusively available on Ellation’s streaming service VRV within the Cartoon Hangover Select channel. Bee & Puppycat was created by Natasha Allegri, who will serve as showrunner on the new season and has relocated to Japan to work on the project. The new season sees the lead characters combat new problems while trying to pay their rent on time. It will launch in 2019.